A very good film as usual by Richard, well worth watching and sending the link to your MP's. I hope CMOMM member Copodenieve has watched it as she was there. Negative reports about Mandy RICHARDs, a Labour candidate who questioned the veracity of the Cox narrative. The appearance of the Cox family on state propoganda TV show "Loose Women". 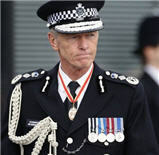 The inviting to Parliament of the two arresting officers of Thomas Mair, to receive a round of applause by all MPs. The story of David HALL who allegedly sent threats to Labour MPs by EMAIL in relation to Jo Cox. (This story followed 2 days after I emailed all Labour MPs a link to the Jo Cox video). If the content of my investigation can be brought into Parliament, I see this as the BEST opportunity so far in my lifetime, to expose the corrupt political and government system in the UK. IF YOU WANT THINGS TO CHANGE, PLEASE - Get your arse in front of your MP, and insist they watch the video. The senior officers in this case ought to be put on trial (in my opinion). This WILL happen (in my opinion) if you persuade your MP of the evidence. People often ask me "What can we do about the state of things Richard". Well this is what YOU CAN DO. Go to your MP surgery ASAP and insist YOUR MP watch the Jo Cox lecture video. If you want to give them the link it is simply, www.richplanet.net/cox . Wow! I've watched a bit of it Jill and I already have some queries, especially about the time he was supposed be walking away. I'm at work now so I need to watch the whole video and go back to my notes. I wrote the times down where I was and what time I arrived. I'm sure it could have been no earlier than five to one when I arrived at the shooting so he should have still been at the scene at this time. However, I will check my notes tonight and get back to this. 1. I checked my notes and the timing seems spot on. It will have taken the man in the white cap about the same time to get to the corner before he turns left towards Union Street as it would have taken me to get to the scene of the crime. That is if he left the scene immediately after the third shot. 2. I would have taken the same route as he did to get to Union Street, simply because I never take the stairs in to Tesco’s car park unless I am actually calling in to the supermarket. Neither do I ever cut through the car park at the bottom. I don’t know why I do this, I just do. However, I have lived abroad for many years and I’ve only been back in this area for a few years, so I don’t have the same customs as people who have lived here all their lives like Tommy. But cutting through the car park that near to the end of the street seems pointless to me and there are the added obstacles of manoeuvring cars and people in the way to slow you down. 3. Why is the other Asian man not mentioned at all in this video? Sandra and Fazila were with Jo Cox but there was also another Asian man who was on the phone to the emergency services? I gathered afterwards that he must have been part of their constituency. Maybe he wasn’t. 4. I saw a body on the floor on the road between two parked cars. Her head was at the far side and her legs reached near to the path. Her hair was covered in blood and covered her face which was facing towards the car in front of her. The rest of her body was face down. Her coat was large and covered her body. I seem to remember her legs being fat. Fazila was standing at the far end of the body by the head looking at the man on the phone who was talking to the emergency services. I got the impression that she was obstructing the view of the body to passing cars. I never saw her even look at the body never mind hold her hand or crouch down near her. She just looked like she was waiting for a bus. This struck me as being really odd but I thought she might have been in shock. She wasn’t crying and showed no emotion whatsoever. I never saw her on the phone to anyone either. I heard the Asian man say to the emergency operator “no, she is not breathing”. At one point we both stared at each other and I had the feeling we were both willing the ambulance to arrive. 5. The person dressed in white shown in the video was a man with a white shirt and black trousers. I think he works in Brearley’s solicitor’s office on the corner but I’m not sure. He was lovely and very helpful. We both comforted Susan and then when I broke down he hugged me and asked if I was ok.
6. When the police arrived they went straight for the witnesses. I didn’t see any police men approach the body straight away. Their main concern was to get us away from it. I thought this was strange as I would have thought their first concern would be to check if she was dead or not. The second thing I found strange was when I asked if I could leave the scene; the police woman who seemed to be in charge just asked me if I had witnessed the shooting. I said that I hadn’t, that I had just seen the body and heard the shots, so she just asked me my name and nothing else and let me go. It was also very clear that I was in a terrible state of shock, crying uncontrollably and shaking like a leaf, and there was no concern whatsoever for my own well being. Afterwards I thought she should have said “Don’t go, you need to see a doctor” or something like that. 7. If Tommy’s motive was racism, why did he not harm the other two Asians at the scene? His target seemed to be Jo Cox and nobody else. 8. My friend who lived opposite Tommy and has known him all her life said that she just doesn’t understand it. That if she had been there at the time she would have walked up to him with no fear what so ever and said “Tommy, what on earth are you doing?” In fact, nobody seems to want to talk about it in Birstall and the funeral tour completely missed Birstall out. People who knew him do not understand how this could have happened and they don’t believe he was political. 9. I saw CCTV footage of him walking up Gelderd road which is in the opposite direction to where the killer was walking away from the scene. This route would take Tommy back to his house in Fieldhead. I was told that this was the recording from a CCTV taped the day before the murder. He was wearing a cap but I can’t remember what colour it was. Hi Copodenieve, Mr Hall alludes to MI5 or similar type of event if the (State) did need to be rid of a problem,(Miss Cox)reference made to Gordon and Brenden,Oxfam allegations, Jo Cox, (Barack O'Bama) Syria,White Helmets,Oxfam,tainted pasts? The only thing sticking out are the recent "Revelations,Oxfam" child Prostitution exploitation, for Food,Haiti,Hilary Clinton,Africa, Government aid etc? What Richard Hall has shown even by the shown footage if correct,the(Thomas Mair) caught on CCTV was further down the Road from where Jo Cox was shot,that Jo Cox's car would have Thomas on the opposite side of the street from where he is supposed to have shot,stabbed,Killed and wounded at least Two person's,within 15-30 seconds of the recording? 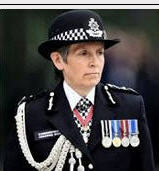 It really is a dubious conviction,with an eye witness contacting the Police to have the UK Police then speak to Richard Hall on harassment,having contacted him Twice,something not right there,after highlighting discrepancies in evidence,safe house in a side street,where the suspect changes his cap from white to Black for the arrest scene? then there is the"Doppleganger" at Police Televised recordings,with No Comments or words from the accused,which even the Police were stumped by? People within the UK will mock Richard Halls films as,"Conspiracy Theories" lunatics with nothing better to do or watch? A bit like David Icke moment on "Wogan" pilioried for exposing World events being linked to certain possible"Fiefdoms" dynasties,then when David had a second appearance he tied Wogan up in knots,"Beach Fronted apartments in Birmingham for sale by George W Bush",classic! A few years ago,colleagues within the workplace asked me about the,"Illuminati", I had no idea what they were talking about,but now after reading up on certain Families connected to Wars,Banks,Armourments sales to opposing factions going back Hundreds of years,creating Wars that Re-generate regions after being destroyed,(thought process) so if the present owners die in the conflict,who becomes the New owners,"All's Fair in Love and War"? In 1979 Jeremy Thorpe chose Not to go into the Witness box,having been charged with Hiring,conspiring to have a person Killed,he and his Three accomplaces walked free from Court,giving No evidence? Thomas Mair,chose Not to give evidence on charges of killing Jo Cox,MP in Batley,Yorkshire 2016 and is found guilty as charged,apparently the same Judicial system used! 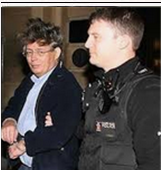 Is this another one of those Mis-carriages of Justice,Birmingham Six? White Helmets = Bad = Atrocity fakers. @BlueBag wrote: White Helmets = Bad = Atrocity fakers. Hi blueBag,White Helmets,but didn't her husband Brendan Continue to support or have donations made to the White Helmets in Charity support groups after Jo Cox's Murder! White Helmets being supported by CIA,NGO groups in the USA,with Former UK Army based personel? Hi Willowthewhisp: "What Richard Hall has shown even by the shown footage if correct,the(Thomas Mair) caught on CCTV was further down the Road from where Jo Cox was shot,that Jo Cox's car would have Thomas on the opposite side of the street from where he is supposed to have shot,stabbed,Killed and wounded at least Two person's,within 15-30 seconds of the recording?" The stabbing and shooting took place between the two parked cars. Sandra (secretary to Jo Cox) was standing between the parked cars with her back to the library and with Jo Cox in front of her. Therefore Tommy must have been on the road facing the library and Jo Cox who had her back to Sandra facing the road side and Tommy. This positioning actually prevented any of Jo Cox’s team helping her as they were stood behind and the two parked cars blocked anyone from coming at him from the side. People who were running towards me away from the shooting were looking backwards towards the road side and not at the kerb. It is logical to me that Tommy walked away downwards on the Tesco side of the road rather than upwards or on the Library side of the road because that is the route were there were less people if any at all. Please forgive my ignorance but I can’t seem to be able to get my head around how you work out how long it took to carry out the attack. All I know is that when the last shot was fired I started walking towards the library and it would have taken him just as long to get to the corner of Tesco’s car park as it took me to get to the library. For what it’s worth, the shots were seconds apart. I’m not sure what to think about Richard’s idea that it wasn’t Tommy that did the shooting. I find it hard to believe because even though nobody at the scene actually knew him, the odds were higher that someone would have passed by there who did know him. He has lived in the same house all his life and I lived around the corner from him but I can hardly remember him now because I moved away when I was 19 years old. I was only seconds away from actually being right at the scene at the actual time of the shooting because the Library is exactly where I was heading. I think that he did indeed carry out the attack but there are a lot of things that don’t add up for me and at this moment I tend to think that he may have been brain washed or something like that. I don’t believe he was racist. My initial thought before watching Richard's DVD was that he was angry at Jo Cox because he needed help and he wasn’t getting it. If he had been racist, why didn’t he attack the two Asians that were standing right next to Jo Cox during the incident? @Copodenieve wrote: Hi Willowthewhisp: "What Richard Hall has shown even by the shown footage if correct,the(Thomas Mair) caught on CCTV was further down the Road from where Jo Cox was shot,that Jo Cox's car would have Thomas on the opposite side of the street from where he is supposed to have shot,stabbed,Killed and wounded at least Two person's,within 15-30 seconds of the recording?" Ho Copodenieve,forgive me but I don't know where the Tesco shop is located,eg Library side? If you watch Richard D Halls film and Jo Cox's car approaching the Library,(Left Hand side),when the Car is at the departure point of Jo Cox,(Library)the car had already passed Tommy Mair,(opposite side of Library)therefore Mr Mair must possess an amazing amount of speed whilst walking to cover 50-150 yards or more in seconds,take a look at the CCTV provided by the Police, a person cannot be in Two places at One time? 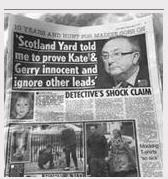 What about the forensic examination of Tommy Mairs clothing,How did he manage to dispose of his soiled clothing in the Cul-de-Sac,waiting for twenty minutes between being arrested,Forty minutes since the murder to be found where he was arrested in a now black Cap as opposite to the white cap in the CCTV? The"Gun" Tommy Mair was supposed to have used was used in subsequent Crimes within Twelve months of Jo Cox's murder,did Mr Mair have possession of the gun in this Twelve months period? Two person's were shot,then the Gun failed,then a"Knife" was used,but No blood shown on Mr Mairs clothing at the scene of arrest,apart from the police rugby tackling Mr Mair causing a bleed to his head, as seen by personel CCTV images,Richards film? As I have stated the same,"Judicial process" produces opposite results,Jeremy Thorpe,refuses to speak at his trail alongside Three accused Apellents,result not guilty, Mr Thomas Mair confirms name and address,Guilty Ma Lord with No Appeals process on his tariff? So apparently people can be"Brain washed" into committing a crime,but the"State or Establishment" can never fit a person(s) up for a crime,take a look at the Birmingham Six and Colin Wallace Ex- British Army(Secret services) Manslaughter charges,Kincora Boys Home! Does this mean Mr Thomas Mair was "fitted Up" to tie into an event,$64,000, Patsy? I will watch the dvd again and take some notes Willowthewisp. I seem to remember that the car was parked outside the library when Tommy was at the corner walking away from the crime scene. From memory I thought Richard showed a clip of the car going up the road towards the Library (Library on the left as you are walking up wards in the opposite direction to where Tommy was walking) at that point I don't remember seeing Tommy in the clip, then he shows another clip of the parked car in front of the library with all the commotion and Tommy is at the corner of Tesco's car park walking away from the scene. Tesco's is on the opposite side of the road from the library but behind the shops, so where you see Tommy in the video at the corner you will see a car park on his left hand side. This is Tesco's car park and Richard says that a local man had said that Tommy would have crossed this car park to get to Union Street rather than walk around it. I disagree here because I find it quicker to walk round it than cross through it because of all the cars coming in and going out all the time. I also believe that the stabbing occurred first and then he shot her. The man who intervened and tried to stop him was stabbed, not shot. He shot Jo Cox three times and I heard three shots. At least this is the version I was given from Sandra (Secretary). I think he left the scene immediately after the third shot because it's the same distances more or less from the scene to the corner at the bottom of the road where he was captured on camera as it is from the corner at the top of the road, where I was, to get to the scene. I was also told by locals that he had made the gun himself, so I am surprised to hear that the gun had been used previously. There is another thing that I have just remembered. It started raining quite heavily at about a quarter past one and it was raining for at least half an hour. This may be totally insignificant, but for some reason it is nagging me. The changing of hats seems very odd and doesn't make sense at all. I saw the police searching the car park behind the Volts Pub which is the turning just before the turning right to where Richard said the safe house was located. This bothers me a bit too because if a man had followed him to the safe house, the police would know immediately where he had stopped off and that would have been the first place they would have gone to look for whatever they were looking for. They made a big deal of searching all the gardens on the main roads that where nowhere near the route that Tommy had supposedly taken. It was said that they were looking for the weapons and his bag. This was the day after and even two days after the incident. It was like they where making a big show of searching. As for Tommy not speaking in the interview; according to my friend who has known him all her life, it was rare to get a couple of words from him. However, I've also been told that he taught Engish to Asian people which seems contradictory because you have to be quite communicative to teach. Nothing seems to make much sense. I have watched the beginning of the video again. I never saw the actual attack but I have always had it in my head that he had attacked her from the road side and not from the curb. I can’t see how she could have rolled from the curb between the two parked cars because of the position she was lying in. She could have crawled to that position but not rolled to it. Since there was no blood on the curb, she must have been attacked whilst standing between the two parked cars. Since she was face down with her head at the far side of the cars towards the road and her legs nearer the curb, it seems more likely to me that she was facing the road, so I think her attacker came from the opposite side of the road towards the parked cars and attacked her whilst she was standing between the cars facing towards the road. Maybe she was heading towards the library and he confronted her and she turned round to face him. If it did happen like that, it makes sense that he would walk away from the scene to the opposite side of the road. However, I cannot get my head around how calmly this guy is walking away and nobody is taking any notice of him. He just looks like a guy who is minding his own business and just looks around at the commotion but decides to carry on walking. Nobody is following or seems to be in the slightest bit interested in him as he is walking down the road. When did the star witness actually start to follow him? He isn’t following him in the video. For him to know he was the attacker he must have been at the scene, so why isn’t he shown in this video following him from the moment he sets off? Ho Copodenieve,another interesting point is the"Star witness" and his Brother are the only CCTV showing a person dressed in the Grey Top,black Trousers with a hand bag. Then the Police are called in to investigate"Harassment"against Richard D Hall having contacted a person on Two occasions,so if the plod visit your abode for a second time is this then construed as "Harassment by the Police",whats good for the goose is good for the Gander? On youtube,there was several videos alerting to aspects of how the Police behaved around the"Black bag",thought to be carrying the "Gun & Knife",used at the Crime scene,One video showed an Officer retrieve a bag from a Car and place it adjacent to the nearest Patrol car to the Handcuffed Mr Mair,then the bag was placed within the scene,perhaps they may still be on CMMoM/youtube parts of the Jo Cox murder? Whatever had taken place on the day Jo Cox is supposed to have been Murdered by Mr Thomas Mair,there are once again"Mysterious Presence" of sleight of hand being involved,with the now Guilty person placed in a catergory A prison,with a "Special Tariff"with No parole? Then you see Mr Bercow milking the moment in the"House of Common's" praising the Bravery,gallantry of the Two Police Officers,"Starsky & Hutch" performance at the arrest of Tommy Mair,where they knew his name,as broadcast on Good Morning Britain,fluffing their lines? Ah well it's just another innocent pleb filling in the Prison cells,whilst the guilty still walk about "Free" to do as they please? Oh yes! The "Starsky & Hutch" interview! This is very strange indeed, especially when coupled with the neighbours' statement who said they heard the police shout his name. @Copodenieve wrote: Oh yes! The "Starsky & Hutch" interview! This is very strange indeed, especially when coupled with the neighbours' statement who said they heard the police shout his name. Hi Copodennieve, "Starsky & Hutch" were calling Tommy Mairs name to ensure they were about to"Taser" the right suspect in the Jo Cox Murder,didn't want Tommy escaping on a technicality? This was article was in our local paper on Friday - Journalist is Danny Lockwood. In light of the second anniversary of the tragic murder of Jo Cox, it's worth reflecting on the solitary task that faced West Yorkshire Police in its aftermath. Thomas Mair was swiftly apprehended and his modus operandi established by the simple expedient of studying his internet browsing history at local libraries. As to how he got the gun he used though - nothing. Zilch. Police know where it was stolen from but not how it got to Mair, a man who didn't drive and had a very limited social circle. Two years on and it's still a blank. A vital, puzzling one. As such, you'd think that a journalist who has since gained Mair's confidence to the point that the killer is willing to talk to him, would be encouraged by the police and the judiciary, wouldn't you? To get answers they simply can't? But no, the writer has been blocked from seeing Mair by the authorities, thus ensuring no-one can get the answers and explanations so many people would like. @Copodenieve wrote: This was article was in our local paper on Friday - Journalist is Danny Lockwood. Hi Copodenieve,That is the reason why Mr Thomas Mair was given access to a legal team,who made systematically sure,they had executed all"Legal" points as a defendant,they had crossed and marked off all the I's and T's accordingly,so Mr Thomas Mair couldn't,"Appeal",then placed in a Category A prison,full term to be served with No remission? So the Police knew all about the Gun? The" Gun " Mr Mair had procured by hand,an Home made device,No,this "fire arm" had been used elsewhere in Yorkshire,used in other Crimes? The"Deeper You dig" on this case,the stinkier it smells and sticks to the stick,but will Thomas Mair be released? Not your nelly,they've got their Man,South Yorkshire Police,who didn't know "1400 Girls were being Groomed" under their very own noses,assisted by Council Officials,yeah right,"What you don't know about, you cannot investigate" isn't that remarkable? We don't want tricky questions and awkward answers now do we? In today's show Richard calls for the release of the innocent Tommy. Tommy was convicted without a trial, and is now in prison behind bars. It is critical that Tommy is given a voice. Only by giving Tommy a voice will the truth be told about what really happened to him on the day he was arrested. 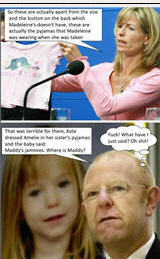 Tommy has been used as a political scapegoat, and we ask all viewers to visit their MPs to pass on critical information. Tommy was covering a child grooming court case and was arrested for "breaching the peace" when in fact he did no such thing. He streamed and recorded the whole hour before his arrest. I've watched it and the Police are yet again a disgrace acting the way I would have expected Soviet police to act back in the day. This country is slipping further and further into a left wing tyranny that will not allow freedom of speech. Freedom of speech is everything and we need to do everything we can to protect it. 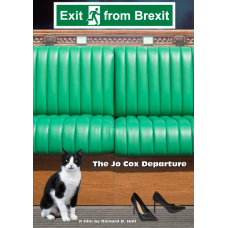 Just to let you know I have released the latest Richplanet film "Exit from Brexit, The Jo Cox Departure", early. for the faint hearted - one involves a summary execution / MURDER by ISIS of a captured person, by shooting in the back of the head, and a coup de grace in the temple when he is on the ground. Immediately afterwards without a break in the filming, the White Helmets appear from off camera, equipped with body bag, scoop up the corpse and take him away. In all cases their clothing bears the distinctive LOGO. 1.3.2019 - Questionable Time, MP describes Richaplanet film as "Racist Abuse"
I have written to Mr Gardiner and chellenged him to a public debate about the evidence surrounding the Jo Cox assassination. What did he consider racist about it?